Pulmonary Independent Medical Exam (IME). A Pulmonary Independent Medical Exam is an impartial evaluation to evaluate lung injury, disability, or impairment. A Pulmonary Independent Medical Exam is a service often performed at the request of legal counsel, workers' compensation carriers or employers. 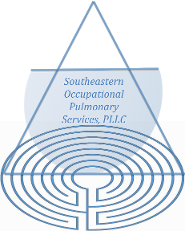 Our center provides reliable and honest occupational lung disease evaluations. These are typically in the form of pulmonary independent medical exams (IME). However, second opinion evaluations are also performed. The evaluation is conducted by a board-certified pulmonologist. The evaluation includes a medical records review, testing and an in person evaluation. We may also recommend a site visit. Our center will arrange cost-effective testing, if necessary. The testing will likely include, pulmonary function testing, chest x-rays and chest CT scans. All in house pulmonary function testing is directly supervised by a board-certified pulmonologist. These tests will help to assess the presence and severity of the occupational lung disease of concern. We can also evaluate employees (non-urgently) for a suspected lung injury. We do not see emergencies and we are not a walk-in clinic. Appointments are by appointment only. After all information is reviewed, we will provide a thorough, accurate, and honest report. Care is always directed back to the treating physicians. However, we can be a resource to treating physicians if needed and facilitate recommended non-urgent treatment. Contact us in Knoxville, Tennessee, to address employee lung health.